A wolf wearing a rhinestone necklace, a winged rabbit holding a pocket watch—Alice in Wonderland? 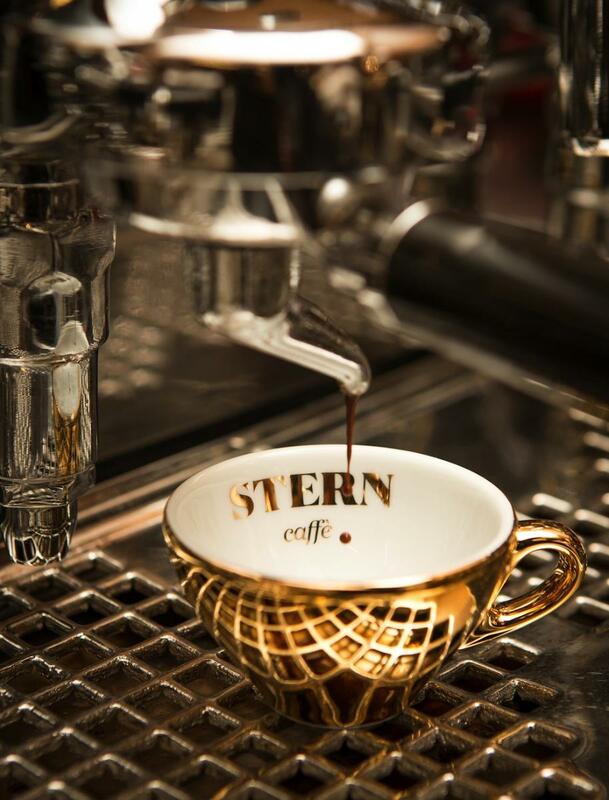 No, it’s one of the newest restaurants to shine in the City of Light, Caffè Stern. The collaborative brainchild of acclaimed restauranteurs David Lanher (Vivant, Racines Paris & NYC) and Massimiliano Alajmo (3-star Michelin Le Calandre), this Philip Stark infused eatery is taking the Paris food scene by storm. 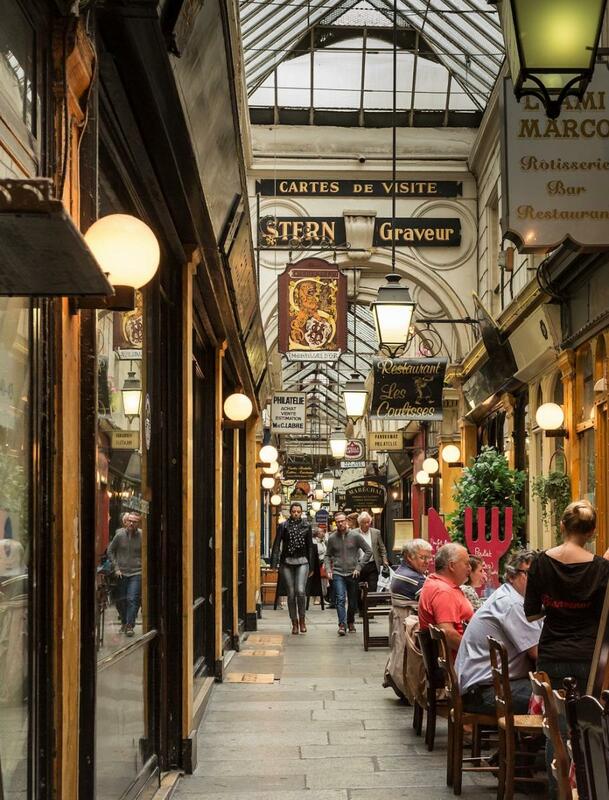 Located under the glorious glass dome of the historic arcades Passage des Panoramas, this Italian coffee house, restaurant and wine bar is the talk of the town. The restaurant is a buzz beginning at 8:30 a.m. with patrons lining up out the door to start their morning with the delectable coffee selected by Gianni Frasi of Laboratorio Torrefazione Giamaica Caffè in Verona. Open until midnight, the menu is inspired by Alajmo’s native Veneto with dishes such as risotto with white truffles, and sarde in saor (sweet and sour sardines). There is also a 35€ lunch menu offering a starter, the daily pasta and a coffee. The prices are a bit steep, however it is certainly worth a trip to check it out, even if just for an aperitivo or morning cafè.